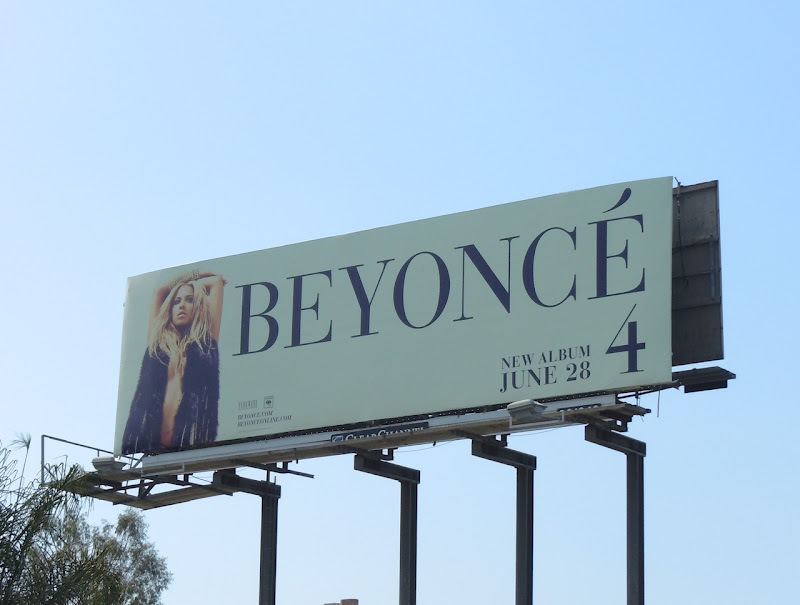 Think you know everything thing about Beyoncé Knowles? Well think again. 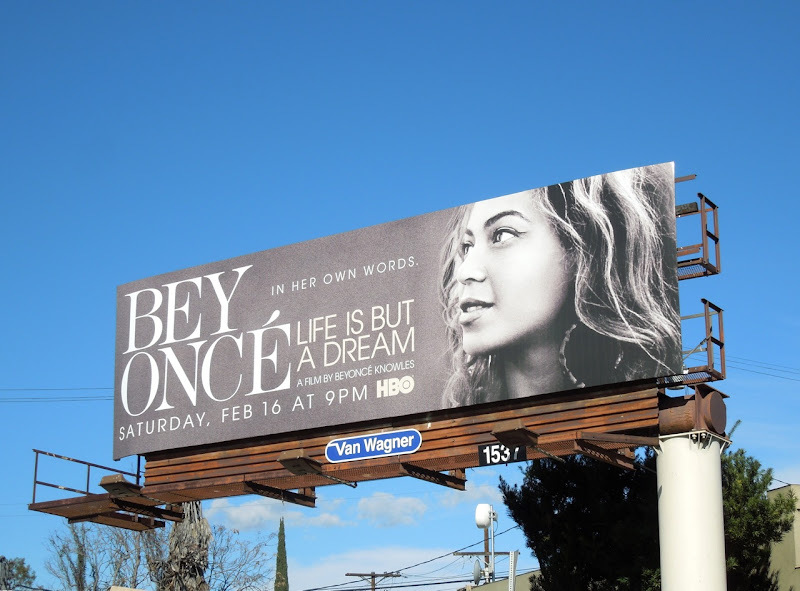 This Destiny's Child gives you all the gossip in her own words in this new HBO autobiographical movie. 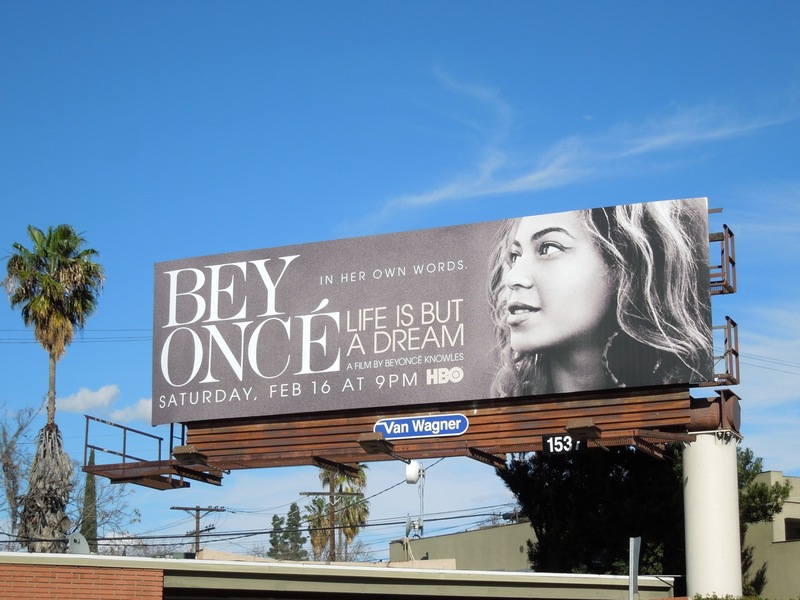 This mono creative for the forthcoming documentary, Life Is But a Dream, was snapped along Melrose Avenue on January 28, 2013. 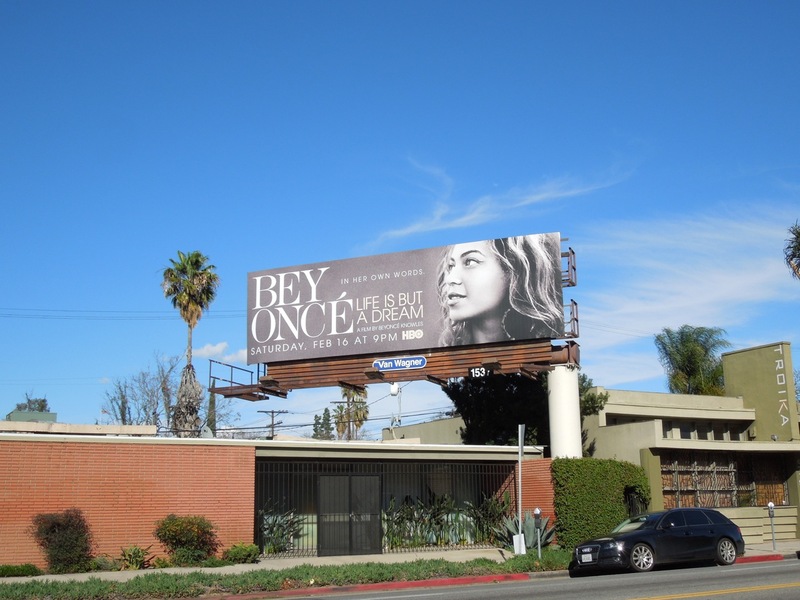 Plus as a special bonus today, here's also a fiercer billboard for the singer's fourth studio album, imaginatively titled '4', spotted along L.A.'s La Brea Avenue in July 2011. 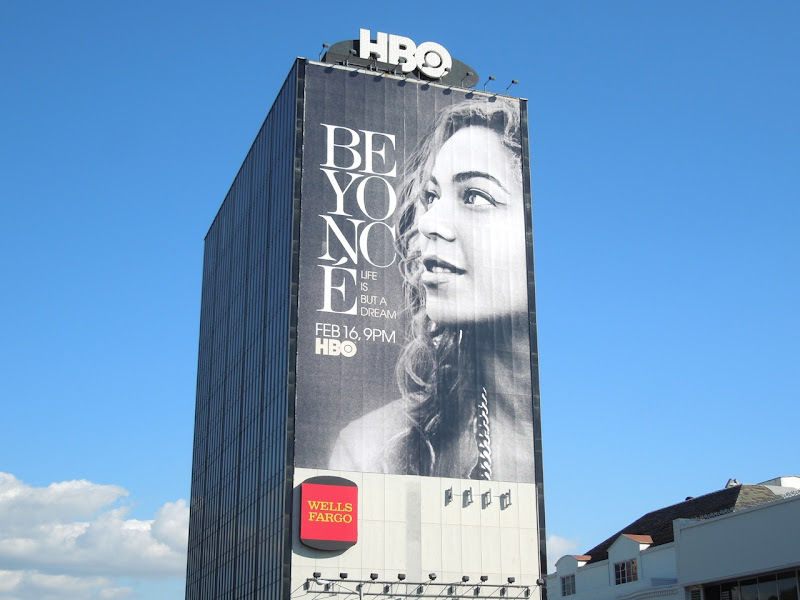 The question on everyone's lips must be, will she lip-sync through her halftime performance at the Super Bowl, or will she lay the singing controversy over President Obama's second inauguration to rest with a spectacular 'live' show? UPDATED: Beyoncé certainly put all her doubters to shame with her dazzling Super Bowl performance. 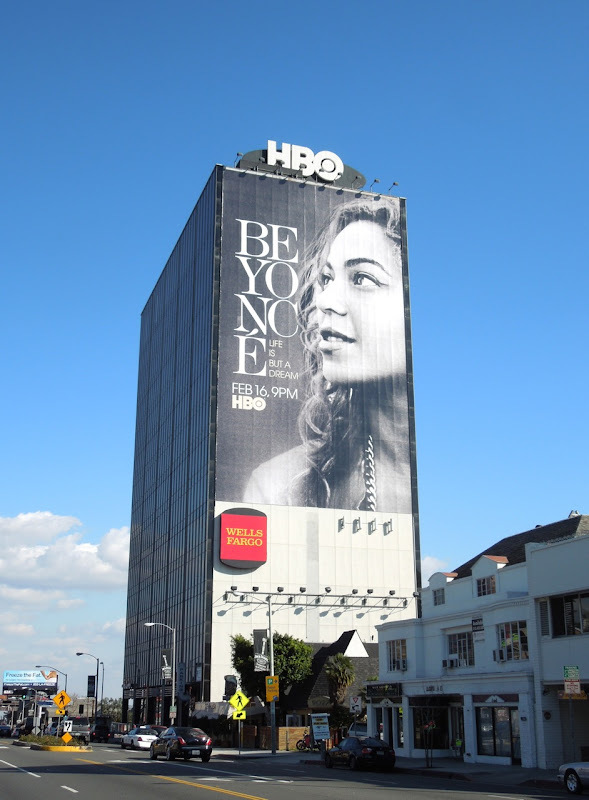 To celebrate her victory here's a super-sized billboard to promote her forthcoming documentary film towering over L.A.'s Sunset Strip. 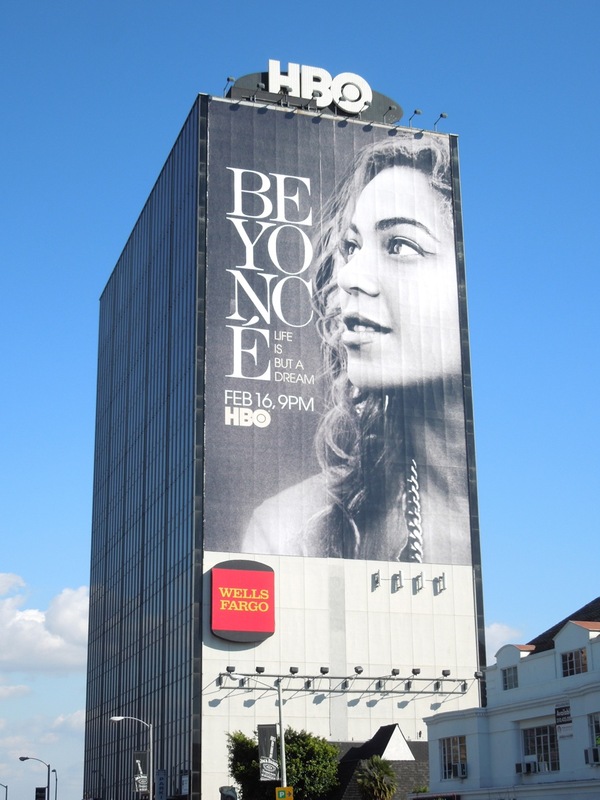 This giant creative featuring the beautiful mega-star diva was snapped on February 9, 2013.